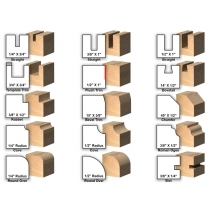 Large router bit sets offer the best value for your money and kickstarts your router bit collection. Whether you are a beginner or seasoned woodworker, the bits contained in these router bit sets are essential to hobbyists with just about any level of experience. 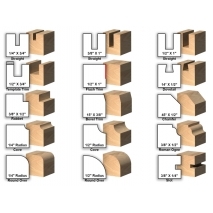 Each of our large router bit sets include a number of straight bits, edge forming bits, dovetail bits, flush trim bits, rabbet bits and slotting bits. 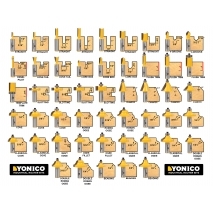 These sets are manufactured to the same high quality standards you have come to expect from the Yonico brand.